INON’s Z-240 strobe remains the benchmark underwater flashgun for many, if not most, working underwater photographers. There are many reasons the INON Z-240 has such a strong professional following and they are the same qualities any underwater photography enthusiast would also value. One big attraction is the high power, wide – angle coverage the Z-240 cleverly combines. However, important as these two features are, they are often misunderstood. So here’s a brief explanation. The power of an underwater strobe is expressed as a Guide Number (GN). The higher the Guide Number, the more powerful the strobe. This translates into more range, so you can shoot over longer distances, or have more depth of field, because you can use a smaller F stop. The Guide Number of the INON Z-240 is 24 metres. As explained during the INON UK Level One Digital Underwater Photography Course, a Guide Number does not mean you can shoot something that far away! 24 is a high Guide Number and it is rare that most underwater photographers will use their INON Z-240 at maximum power. It’s very difficult to combine a high Guide Number with wide – angle coverage without making the strobe much larger and heavier. Keeping an underwater strobe compact, yet providing it with a seemingly very high Guide Number, usually means sacrificing wide – angle coverage. INON S-2000, D-2000 and the Z-240 strobes all cover 100 degree wide – angle lenses without having to add a diffuser. Diffusers spread the light to help with lighting wide – angle pictures, but this also reduces the intensity of the light, meaning the GN becomes less in real terms. 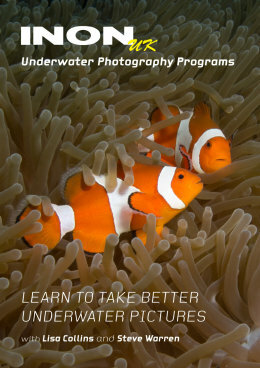 Most underwater photographers rely on wide – angle lenses for much of their picture making. As explained during the INON UK Level One digital underwater photography course, most wide – angle lenses chosen for underwater photography start at 100 degrees. This is true for underwater cameras using add on underwater lenses such as the popular INON UWL -H100 or cameras using terrestrial lenses behind dome ports. It’s important, then, that your underwater strobe can light the whole area photographed by your underwater wide – angle lens. If it can’t, you risk getting unsightly hot spots in part of the picture or significant shadowing at the edges of the frame. 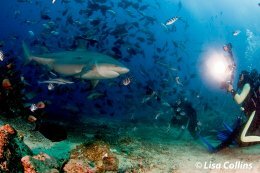 Matching the angle of your underwater strobe to your underwater wide – angle lenses is essential to being able to light your underwater photographs properly. So when comparing strobes, you must know the Guide Number for the coverage of the underwater strobe with and without a diffuser fitted. If a strobe covers less than 100 degrees and you use a typical wide – angle lens, you’ll need to think about adding a diffuser, which will reduce its power. INON diffusers reduce the GN of your strobe by just half an F stop. Most strobes use diffusers that cut the light down by a full F stop or more. The beam angle of an INON S-2000, D-2000 and Z-240 strobe can be increased to 110 degrees by adding a diffuser. Some photographers prefer to use a diffuser with lenses that don’t technically require it. They do this because the wider coverage that the diffuser adds provides a useful margin of error for strobe aiming. The high power of the Z-240 and low absorption factor of the INON 0.5 stop diffusers make this a very practical method of working. In reality, getting the beam angle right is not always an exact science. Many INON strobe users find that they can easily light even a 180 degree fisheye lens using just a single INON strobe fitted with a diffuser, a revelation attributed to Martin Edge, underwater photography instructor and author of ‘The Underwater Photographer’, to which Steve contributed a chapter. During INON UK Level One Digital Underwater Photography courses, we provide students with cameras with INON UWL- H100 wide – angle lenses fitted with INON Dome Lens Units, which increase the angle of view to nearly 150 degrees. Even so, we teach proper lighting using only a single INON strobe. External Auto option – both the INON Z-240 and the INON D-2000 offer S- TTL and full manual exposure, just like the lower cost INON S-2000. But they add External Auto Mode. External Auto Mode offers automatic strobe exposure for cameras that cannot support S- TTL. External Auto Mode can also allow for faster burst shooting than TTL systems. Circular beam – the Z-240 and D-2000 use two offset flash tubes to create a circular beam angle. Cameras usually take rectangular or square photographs. Strobes that create rectangular beams need to be orientated to the camera when shooting wide – angle pictures to assure even coverage. The closer the angle of view of your lens is to the maximum beam angle of your strobe, the more important proper alignment becomes. Changing your camera from landscape to portrait may also mean you have to realign your strobe. INON’s Z-240 and D-2000 circular beam design means realigning your strobe is not necessary simply because you changed the orientation of your camera and you also have more margin for error for strobe aiming as well. Packaged with three diffusers – A 0.5 diffuser is included with the INON Z-240 for increasing the beam angle to 110 degrees. Also included are two colour temperature adjusting diffusers developed in cooperation with Dr Alex Mustard. Used with photo editing, these diffusers allow you to retain natural foreground colours while achieving richer backgrounds for more pleasing pictures. Visible O ring – floods are an occupational hazard of being an underwater photographer. Water entering the battery chamber of any underwater strobe can quickly cause so much damage the strobe cannot be repaired. This is because the water reacts with the batteries creating heat and often causing corrosive battery acid to leak into your strobe. INON S-2000, D-2000 and Z-240 INON have a see through battery cap and a bright yellow O ring to make it easy for you to confirm proper seating of the O ring before you dive. 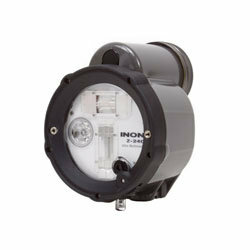 Time proven – the INON Z-240 underwater strobe is time proven. 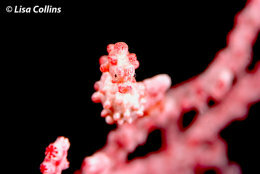 Reliability is an essential buy point for any professional underwater photographer. Equipment failures can mean disrupted assignments and a significant financial loss as well as a cost to the photographer’s reputation. Full INON UK support – INON strobes provided by INON UK official dealers come with a two-year warranty and you receive INON UK Registered Member benefits including special preferential discounts on INON UK courses and events, including the INON UK Understanding Your Underwater Camera and Strobe Day and Learn with Lisa Improve Your Underwater Photography programs. Not everyone selling INON products is an official INON UK dealer. Check our website to make sure you aren’t buying a grey or parallel import. You’re buying the best strobe – get the best back up as well.